The growth of the wool mill is closely linked to the awareness of our role in impacting the environment and people. A sustainable approach has led us to invest in preserving the Biellese valleys, the quality of life of local communities and maximum transparency of the entire production process. Zignone has long been able to guarantee Apeo- and Chrome-free wool processing – namely, processing free of alkylphenol ethoxylates and chromium, pollutants toxic for one’s health that are able to survive for a long period of time in the environment and in the water. The wool mill has repeatedly invested its technological know-how and economic resources with significant results and even innovations in the industry. Zone is the most important outcome of the wool mill’s investment in sustainability. 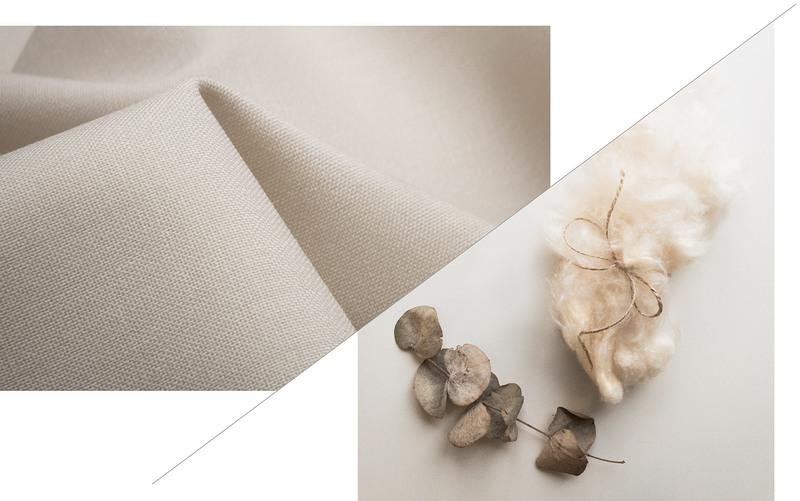 It is the first collection in the world to receive confirmation from the Institute for Ethical and Environmental Certification for respecting the strict rules of the Global Organic Textile Standard (GOTS) in relation to organic fibres. The Zone collection uses high quality wool that is completely traceable and woven in Italy while respecting the environment. The collection assures wool is entirely organic and sourced from animals free of hormones, steroids or antibiotics and which have been raised with GMO-free food and without pesticides, chemical additives, fungicides or herbicides. The GOTS process, to which Zignone adheres to, is one of the most rigorous in this regard. No chemical that is harmful to the environment is used in any of the processing stages. The respect Zignone shows to the environment is expressed in concrete actions, such as the construction of a water treatment plant to minimize water consumption. The plant treats all the water used during the processing stages and returns it to its original state. It is made up of two aeration tanks, in which bacteria attack most of the harmful substances, and a tertiary system with a sand filter and three activated carbon filters. Activated carbon filters the entire flow, ensuring maximum efficiency in reducing traces of dye and soap used in processing. The wool mill is thus able to recoup up to half of the effluent and one fifth of the used water, which is equivalent to reducing water consumption by 30,000 cubic metres per year. Zignone uses less than .05 cubic metres of water per linear metre of fabric produced for a total consumption of less than 130,000 cubic metres annually. Investments in sustainability are also about energy usage. With over 900 photovoltaic panels, solar energy supplies the wool mill with 20 per cent of its needs. The parameters and peak power of the panels, equal to 195.30 kWp, are able to lower the emission of greenhouse gases. The benefits are multiple: environmental, thanks to the reduced use of fossil fuels and lower carbon dioxide output; energy-wise, it optimizes the use of electricity grids, with lower losses for transporting and distributing electricity. In economic terms, there are long-term savings on supply. To counter squandering resources, the wool mill monitors the entire production process inside its plants with the perspective of obtaining an energy efficiency certification.